If you don’t want a new sliding glass door, then your next option for patio doors would be French doors. The range and options available for French doors are almost daunting so we will discuss them in broad terms and I will discuss the individual features later in subsequent posts. There are three main parts of a French door that I want to discuss. Frame material, hardware and glass. Your best bet is to go with fiberglass. It’s the best material to make a door out of; it doesn’t warp, twist peel or crack. Ever. Usually the frame is still wood, so the door panel itself (called a slab) will usually last much longer than the frame. In some cases you can get a fiberglass frame as well. The last section I want to discuss is the glass. 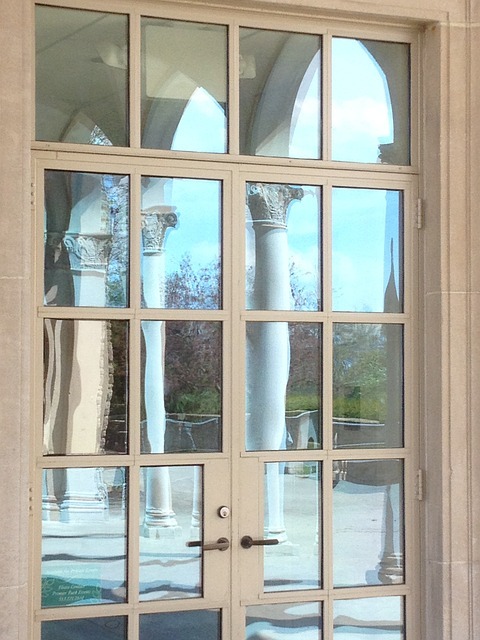 Just about every French door offered now comes standard with Low-E glass. However, this just isn’t enough. If you live in a warm climate like the sunbelt you need to make sure you get “Soft Coat” Low-E. You need “Hard Coat” Low-E if you live in the opposite. So there you have the basics for French Doors. Check back for more detail about French doors in future posts.